Benecke-Kaliko AG, Hanover and the Tatsuta Chemical Co. Ltd., Tokyo, have agreed on a technological cooperation program in order to develop their business with surface materials for automobiles worldwide. Contracts to this effect were signed by Takeshi Nagano, President of Tatsuta and Dr. Dirk Leiß, CEO of Benecke-Kaliko AG, part of the ContiTech Group, now. "This allows us to reduce development times with Japanese automotive manufacturers all around the world and acquire a new portion of the market," declared Leiß, speaking of the main reasons for the cooperation. The contract gives Tatsuta Chemical the opportunity to take advantage of Benecke-Kaliko's existing expertise in surfaces and use it for more interior applications. 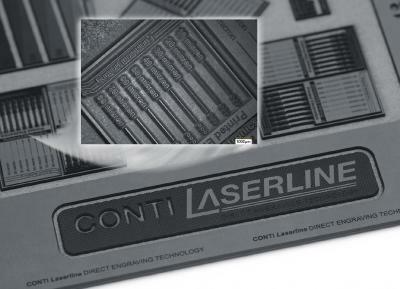 The ContiTech company is a world leader in the manufacture of surface structures using laser engraving technology for this branch. "We will approach future projects together. This gives our customers extra value, as they only require one contact person for all interior materials," promises Leiß. "In addition to this our plants in Europe, Mexico and China mean that we have a truly global presence." The new contract does not contain any agreement on economic contributions. The Tatsuta Chemical Co. Ltd. has around 120 employees worldwide. Benecke-Kaliko has a workforce of around 1,400 and posted sales of €246 million in 2009. With sales of approximately €20 billion in 2009 Continental is among the leading automotive suppliers worldwide. As a supplier of brake systems, systems and components for powertrains and chassis, instrumentation, infotainment solutions, vehicle electronics, tires and technical elastomers, Continental contributes to enhanced driving safety and global climate protection. The company is also a competent partner in networked automobile communication. Continental currently employs approximately 134,500 in 46 countries. The ContiTech division holds a global market leadership position for many non-tire rubber products and is a specialist in plastics technology in the non-tire rubber sector. The division develops and produces functional parts, components and systems for the automotive industry and other important industries. The division has a workforce of approximately 22,000 employees. 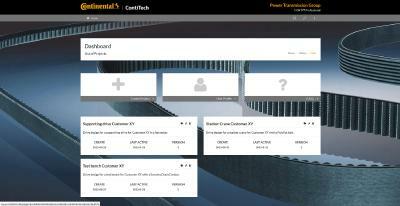 In 2009, ContiTech reported sales in the order of €2.4 billion.